I suppose I must also like taking pictures of water. The prompt word, “reflection,” for today’s post is brought to you by Janet! Thanks, Janet! If you haven’t already visited her, click here. And say hi while you’re there! Categories: Blogging, Blogs, Just Jot it January 2019, Photograph | Tags: inspiration, Kingston Ontario, Lake Ontario, photography, support, Tokyo Japan, travel, water, writing prompt | Permalink. 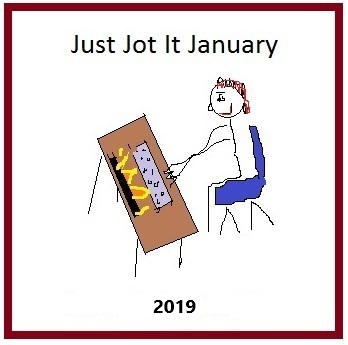 It’s Monday again, and time for your Just Jot it January prompt! I’m writing this early and scheduling it, so I don’t know how Alex’s night went. If it takes me a while to publish my Monday jot, you’ll know I’m having challenges of some sort.